SouthPark has ambitions of becoming a second downtown, a thoroughly urban center where people can easily walk between home and work and play. 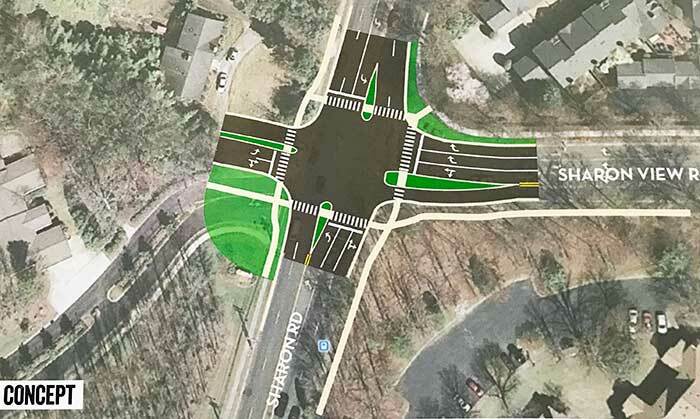 The city is pouring $10 million into projects to transform the area, like greenways and pedestrian crossings. But SouthPark likely won’t be able to change its image without shedding its shrines to automobile culture: gas stations. 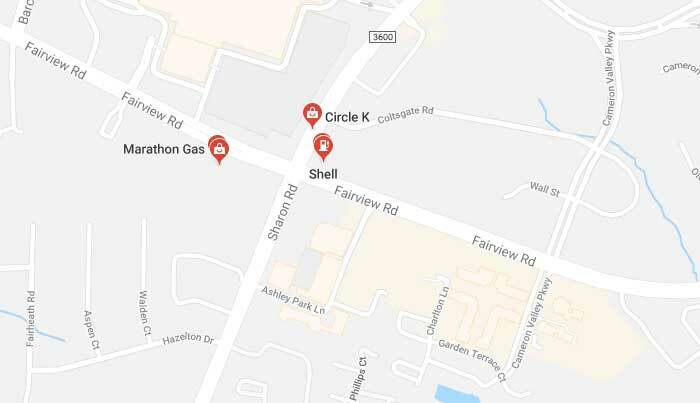 The central crossroads of SouthPark is the intersection of Fairview and Sharon Roads. Today, gas stations adorn three corners of this junction. Asphalt is already a major issue in SouthPark, designed for the automobile several decades ago. The gas stations reinforce this notion. What if these gas stations and parking lots at this square were green space accessible to the public? What a difference that would make. The community organization Civic By Design has a catchy way of describing it: putting the “park” back in SouthPark. Unfortunately, there’s no good mechanism for making this change happen. The properties are all owned by companies entrenched in the oil industry with little incentive to change course. 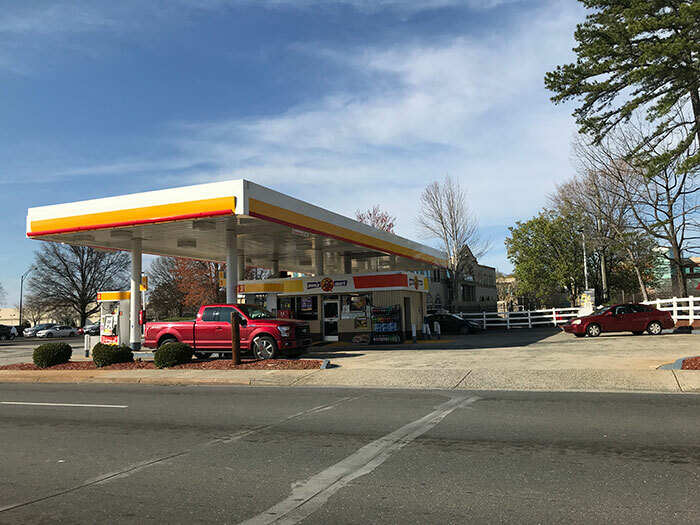 The Shell station property is owned by Matthews-based Sam’s Mart, which operates the gas station. The Circle K across from it is owned by Tosco Corp., the oil company. 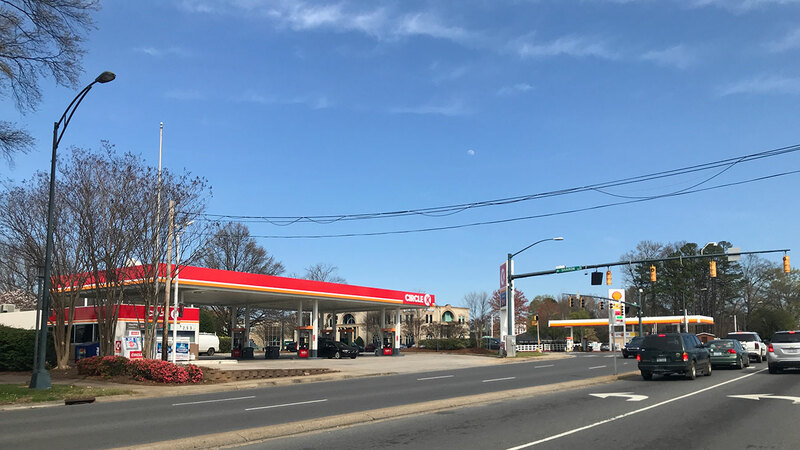 The other Circle K property is owned by a retail landlord that primarily operates convenience stores and gas stations. 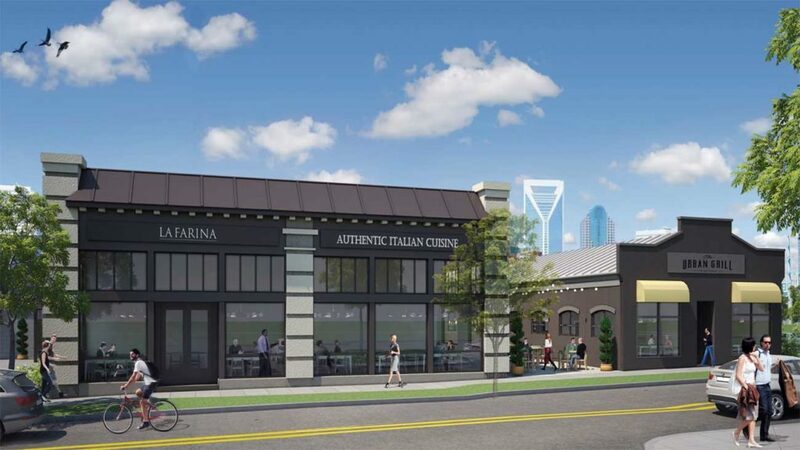 Gas stations also face significant hurdles in redevelopment due to environmental regulations. And then there’s the issue of price. This is valuable real estate that would go for multiple millions of dollars. Of course, we also don’t have anything against hard-working convenience store franchise owners. But this is the type of radical change that will be necessary to get Charlotte into the future. 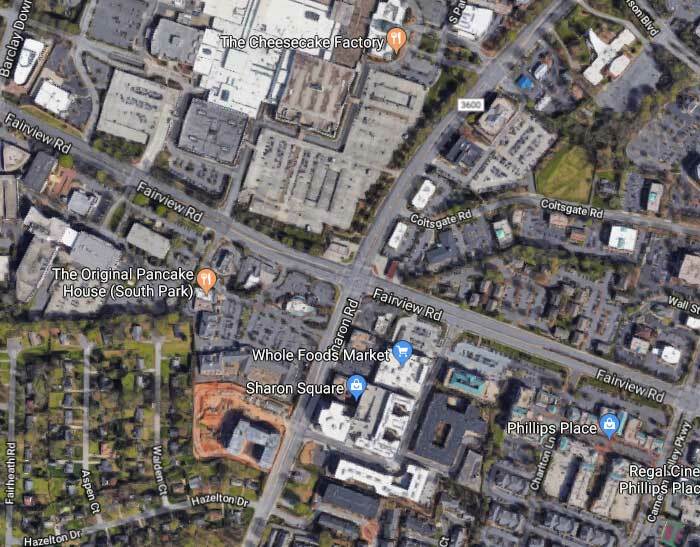 It’s worth at least evaluating what it would take for the city, or the SouthPark Coalition, or the Southpark Association of Neighborhoods — or all three together — to acquire and redevelop this square.